Does this sound familiar? The doorbell rings, your dog barks, you open the door to let your friend inside and your dog proceeds to greet your friend by jumping up on them? How embarrassing! You are yelling at your dog to stop jumping when you should be providing a warm welcome to your friend. Your friend may love dogs, but nobody likes to be jumped on or even worse knocked over by a big dog… I know I don’t. An out-of-control, jumping dog can become very dangerous. He can knock over a child or elderly person, seriously hurting them. For me, with three kids, we have people coming in and out of the house frequently, and having two large dogs jump on their friends is not an option. I also dreaded every time the postman or UPS guy would ring the doorbell. Both my dogs would go nuts barking jumping at the window, and when I tried to open the door they both would try and push their way through. I think the postman probably dreaded ringing my bell just as much as I did! One day, I decided that was enough! It was so stressful just to receive a package. So I started teaching my dogs the place command. As soon as the doorbell rings, I tell them PLACE, and they must go to their dog beds until I release them. Wow, what a difference it has made. Not only does this work for the postman, but when my kids have friends come over or when family visits. The first step to stopping a dog from jumping on people is to eliminate the activities that are rewarding for your dog’s jumping. Do not look at him, do not touch him, do not talk to him. You must completely ignore your dog. Any attention is rewarding for him, so even talking to him gives him reason to jump. Your dog is jumping to get your or your friends attention, and if you give him any attention at all, he will assume jumping = attention. When you come home or you have guests come into your house, ignore your dog until he calms down. Do not talk, look or pet your dog until he is calm and not jumping.It’s also important to be patient, your dog is going to try and try to get your attention, jumping may turn into nudging or other behaviors. Be consistent and you will start to notice the behaviors diminish. The place command is valuable in so many ways, I personally use this with our dogs anytime someone rings the doorbell. The place command is simply teaching your dog to go to a particular spot (a mat, dog bed, carpet) on command. Your dog should stay in his place until he is released by you. Do not release him from his place until he is completely calm. Our dog Bear even surprised me one day by going to his “place” even without me asking! He heard the UPS truck pull up to our house, he walked himself right over to his place and layed down! I probably shouldn’t have been, but I was in shock. We did practice the place command daily, sometimes several times a day, so it makes sense that Bear would connect UPS man to Place command. First option is kneeing your dog anytime he jumps on you. This is pretty simple, just life your leg so your knee goes into the dogs chest. Add the command NO at the same time your knee goes into your dog. Again, it is important to be consistent, don’t allow your dog to jump anytime on anyone. The second option is a quick correction using a prong collar. Many people may be afraid of the prong collar, but it is an awesome training tool. Please read more about the good, bad and the ugly about the prong collar. I’ve pulled this video from an awesome balanced dog trainer, SolidK9Training, explaining and showing the proper technique. Ask yourself, is it better to give up on your dog and surrender him to a shelter and he eventually is euthanized? Or give your dog a super quick correction and continue to live a long happy life with you? It is important to start teaching your dog not to jump even if he is still a puppy. It may be cute when a little puppy jumps to get your attention, but that puppy will grow up quickly. Soon you will have an adult dog, big or small, jumping on you. So start early. By teaching your puppy not to jump using the theory of jumping equals no attention, you will avoid having to correct his behavior as an adult. I’d love to hear how you have been able to stop your dog from jumping. 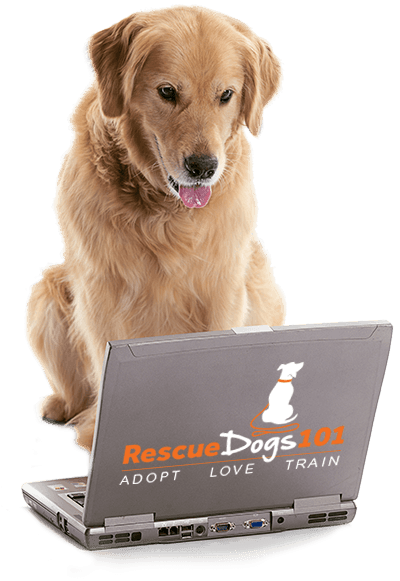 Comment below and share with the Rescue Dogs 101 Community.